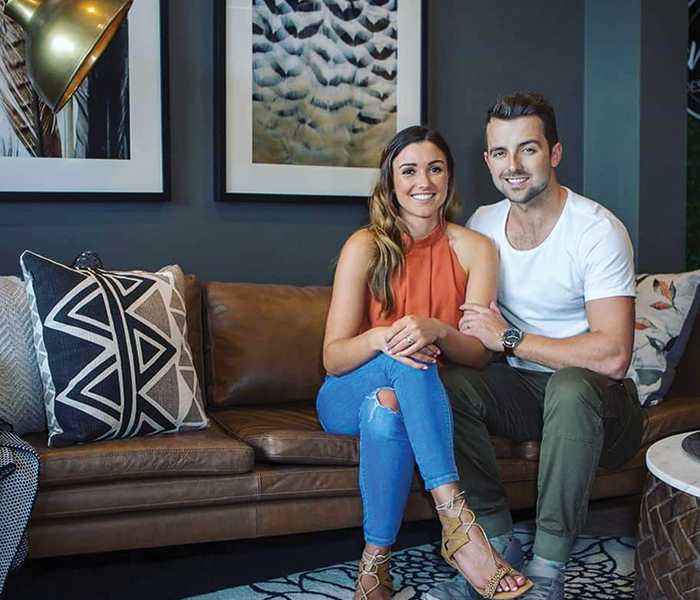 Like all good interior design lovers we take The Block very, very seriously, so you can imagine our delight when Queenslanders Will and Karlie won the 2016 competition. It seems just like yesterday that we were screaming and cheering at the television but crazy enough it’s almost been a year! With the 2017 show about to begin we thought it was the perfect time to check in with Blockheads Will and Karlie and see what fabulous things they’ve been getting up to in the last year. The two had lots of news to share, from ‘I-dos’ to a new renovation and some goss from their time on the small screen. How has life changed since winning The Block 2016? Life has definitely changed since being on The Block. 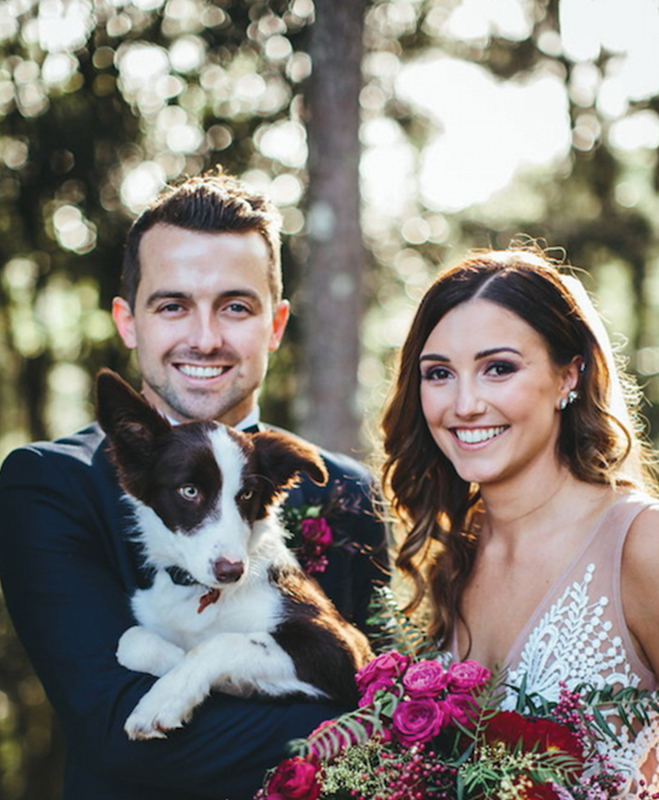 We have just had our incredible wedding and it was the day we have always dreamed of. Once we were chosen for The Block, we had absolutely no time to organise our wedding while renovating our apartments, so it got left behind and it was a real challenge and kept us busy organising it all, once The Block finished. We are in the early stages of renovating our first home. Fame can be tough and tiring, overall did you both enjoy the process after the win? Were there any points were you felt it was all too much? It was definitely tough, however we were also able to enjoy a lot of great times and amazing experiences because of the spotlight and the ‘fame’. We are definitely the same ‘Karlie and Will’ as before we took on The Block though! Being able to travel around the country and give advice to people who haven’t had much experience before makes us feel like it is all worth it. The best part is seeing how excited the kids are and how nervous they are to ask for a photo, but we love to have a bit of fun and a laugh with the fans! At the beginning of The Block you mentioned you considered your style industrial, has this changed or evolved? We believe you have to keep evolving your style to suit the type of renovation, your budget and environment. Some styles won’t work in a particular space so it is important evolve, merge or blend styles to suit. That being said, we still love the industrial look! What are the three pieces of advice you’d give to someone who was thinking about taking on a renovation? Budget, Budget, Budget! This is one of the most important parts of your renovation. From our experience, it is an absolute must to get quotes from multiple trades. 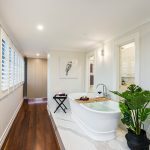 You can save a lot of money, which can be put back into other areas of your renovation. However, be very careful not to choose the lowest price just because it is the lowest. Do your due diligence and make sure they have included the scope of works you’ve asked for and haven’t hidden any sneaky exclusions in the quote, otherwise you may be paying a lot more in the long run! Think outside the box and take risks – go with your gut instinct, it is almost always right. 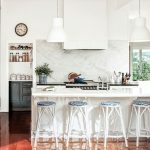 Considering the success of your first renovation does it inspire you to do it all again? Our success on The Block gave us a lot of confidence to take risks and to trust our instincts and imagination. We are currently undergoing a renovation on our first home that we bought together (before The Block). It won’t be as big and as bold as our luxury Block apartment, however it is definitely just as stressful! 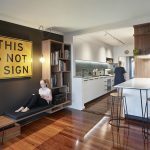 Our goal is to help everyday Australians with inspiration for their renovations by focusing on showing people cost effective methods to increase their properly value by embarking on simple, budget-friendly renovations. Was there anything special in your Block apartment that was hard to leave behind? Everything! 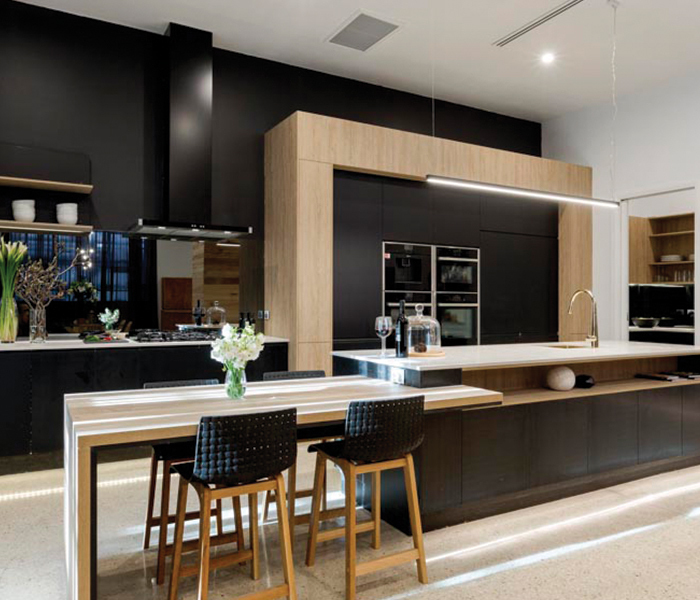 Our favourites would have to be our amazing Jet Black kitchen sitting on that gorgeous polished concrete. The lush garden and beautiful deck was also hard to leave behind. You both work in the construction industries, did completing The Block help reaffirm your love for the work you both do? 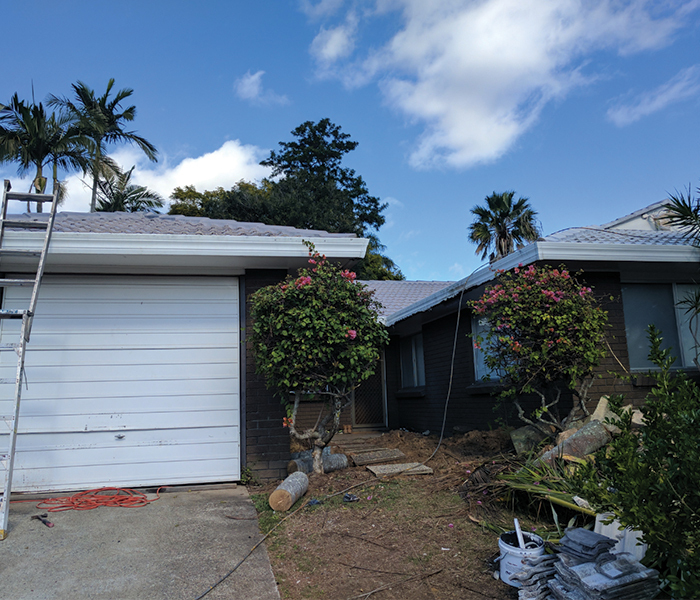 We still enjoy our work, our jobs definitely helped us to excel on The Block and will give us an advantage in the future for our upcoming renovations. On screen we see all the stress, pressure and drama, but what was it actually like on set? We get asked this question almost every day and we reply that it was actually harder than it looked on TV. As both of us are in the construction industry, we believed there had to be help behind the scenes and a million tradesmen coming to help in the middle of the night, but it is the complete opposite. We had our team of builders and tradesmen who we chose from the start and there were noise restrictions and a week to transform our leaking roofs and rubbish filled rooms to luxury spaces. That being said, we definitely tried to have fun with the other contestants and the crew. Yes, we went on challenges making it seem to viewers we were having a break, however it meant we would be working three times harder to finish our rooms in time. Most of the time after the challenges, we wouldn’t be getting sleep for days on end to make sure our rooms were finished in time. You’re Queenslanders’ so we have a feeling we know the answer but…AFL or NRL? And who’s your favourite team? Will: This may come to a surprise to you however I love AFL. I have played sport all through my life and enjoy NRL, however I have grown a huge passion for Aussie Rules! My Grandfather, who is now 95, has always supported The Bombers aka Essendon and my following of them all began one day when my grandfather asked me to walk with him in the Anzac day parade in Melbourne right before the Anzac footy match between Essendon / Collingwood. Twenty odd years later I still support the same team! You’re now married! Congratulations! Now that you’ve begun this new chapter what’s on the cards for you both? Thank you! Our plans for the near future include plenty of travel and to continue renovating our house. Who knows what else is in store – we are open to any opportunities that come our way and love trying new things! Will: I absolutely adore working with timber. I can’t explain how much I love to see reclaimed timber and beautiful custom timber furniture pieces – it brings a sense of warmth and earthiness to a home. Will: Fidget Spinners. What are they and where did they come from? Come on guys, go outside and have some fun! Karlie: I love white subway tiles, especially the trend to lay them in more interesting ways (think: herringbone patterns) but I hate when they are paired with a dark coloured grout (reminds me of actual subway stations and makes the wall look dirty – yuck!). Unless you are going bold and pairing say, white tiles with a coloured grout (yes, you can get pink, blue, yellow and green coloured grout and it is something I am loving right now, especially with mosaics), please don’t subject your bathroom walls to the typical depressing, dirty, dank looking subway / train station tiling. Has social media helped or hindered you both, why? During The Block social media was great because we could show fans our rooms and what is was like behind the scenes of The Block. However it also hindered us with some of the hateful and violent messages we would receive on social media. 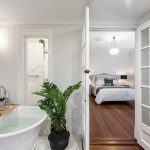 It is a tough thing to sit down after a huge day and night of renovating and find complete strangers posting horrible comments and scrutinising your lives or habits. It is a rude shock, but you have to ignore the haters and focus on the positive comments from the fans who are actually interested in our content. Family, friends and travel are things we both cannot live without!